Back in April I wrote that I wanted to stop buying bread, and so far we haven't bought any more bread. We have suffered through my sourdough attempts, and Farmer Pete has made some white bread from a packet, but we haven't bought any bread! And recently I have got into a routine and settled on a bread recipe that I'm very happy with. It is based on the recipe in the e-book "Is your flour wet", which is available free from Kitchen Stewardship. A while ago I posted my first post about permaculture, explaining how I had just really worked out what it was and how excited I was to find out more. 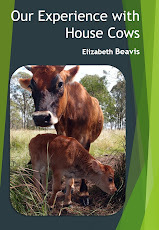 A couple of people recommended Linda Woodrow's book "The permaculture home garden". I have been following Linda's excellent blog (The Witches Kitchen), but I had no idea that she had also written a book, so I decided to find out more. When I emailed Linda to ask the best place to buy it, she offered to send me a copy, I was SO excited, this was the first ever free thing I have received as a result of this blog. The book arrived a few days later and I couldn't wait to start reading it. Before I opened it though, I had a moment of trepidation. What if I didn't like the book? Would I be able to write an honest review? Or would I have to resort to faint praise? I read the first sentence and realised that I need not worry, I loved the book, every wise word! Thanks Linda! As I said last week, I recently spent a week studying biological agriculture. On the first day we learnt about mineral management. I have prepared a table with a summary of the signs of mineral deficiencies, which you can download here, as it doesn't fit on a blog page! I have to admit that I used to buy a few items in the frozen isle of my supermarket. I used to buy chips, battered fish, crumbed chicken breasts, frozen veges, pastry, ice cream, pies, frozen meals etc. It was so handy to be able to just pull them out and reheat them quickly. Since I discovered real food, and what is in those processed frozen foods, I don't buy any of that any more, but my freezer is still stuffed full of convenience foods. By that I mean, food that is convenient to me :) Here is a photo of our freezer. It is starting to get empty now in preparation for our next steer getting butchered, so I wanted to share what it usually looks like before it was too late (until recently it was full floor to ceiling!). This post does contain photos of dead chickens and bits of chicken guts in the interests of explaining how we kill, gut and butcher our own homegrown chickens. I make no apologies for this, just warning you. If you are considering killing a chicken, you should be able to at least look at the photos, or you're going to get a shock when you get started. If you have done it before it will be nothing you haven't see before and you might be able to give me some tips. If you're following my facebook page, you might have noticed that I recently spent a week in Yandina doing a "Biological Agriculture" course with Nutri-Tech Solutions. The course was exactly what I needed. We have been trying to figure out how to grow forage and hay crops organically, trying to understand whether we should be tilling the soil and generally confused about our soil test results. I won't say that the course answered all my questions, but it did give me some key information that I've been able to research in more detail to help us come up with a plan. A few weeks ago we went to the local show grounds to have a look at a Dexter show. There were probably 100 animals there, with some lovely examples of both black and red Dexters. At first we were a little worried that our recently-purchased little Dexter bull, Donald (introduced here), was quite small compared to some of the Dexters on show, but after chatting to some of the owners, we were told that some of the Dexters were probably getting a bit larger than the original intention of the breed, and getting closer and closer to Angus cattle. We also thought that Donald looks a bit rougher than the ones on show, until we realised that they had all been clipped, washed and brushed before the show! I don't think Donald would put up with that kind of treatment! I use cornflour regularly to thicken sauces and gravies. I only recently realised that the bright white colour is not natural. I bought some organic corn flour and its creamy yellow, and does the same job. So why is most corn flour white? I haven't been able to find the exact answer, but I assume that its bleached, which means that the flour is oxidised. Oxidation is something that you want to avoid in your food, that's why we are supposed to be eating anti-oxidants! I have found some references to white corn, but I doubt that the corn is THAT white. Anyway, I'm happy to have found some yellow cornflour and I won't be going back to the white stuff! Several years ago I tried to grow carrots in our heavy clay soil and was completely discouraged when I pulled them up to find arms and legs twisted everywhere and not much carrot worth eating. This put me off for ages, but then I read about how you can feed root vegetables to dairy cows (here) to reduce their grain ration. This really appealed to me, so I thought it was time to try to grow some root vegetables again. Nita at Throwback at Trapper Creek (my favourite family cow blog) recommended to me that I try to grow enough for myself before committing to trying to grow enough for my cow. Great advice of course! Its true, I haven't washed my hair since January. 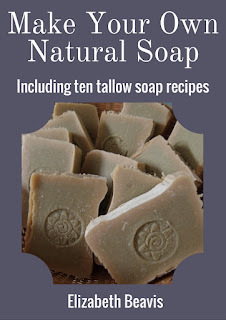 I have rinsed it in water a few times, but I haven't used any soap or shampoo, or even the "no poo" baking soda and apple cider vinegar mixtures that I've read about. The idea came following a post I did back in December about eliminating cosmetics from my life. One reader commented that she didn't wash her hair and it made me wonder if that could work for me (unfortunately I lost that comment when I changed commenting systems, so I don't remember who it was, feel free to comment again!). Finally I decided to give it a try in early January and I haven't regretted it. Farmer Pete and I love to eat burritos. Its a good way to use up all the beef mince we have, and to add a few salad vegetables. I'm sure that our version isn't very Mexican, I haven't been to Mexico, so I have no idea what burritos are supposed to taste like!